Welcome to our useful links page, where we hope to make your life easier by giving you links to sites that may concern you if you're coming to Italy. As you can see, there's a list of other hotels in Italy that use our state of the art secure online booking engine as well as our Virtual Tour technology, so you can see before you buy and then have peace of mind with your no-obligation secure booking. You'll also notice we've added a few links to sites nothing to do with us - what to do and where to go, how to get there, etc. This should be enough to get you started then once you arrive our friendly, committed and multi-lingual staff will be more than eager to assist and advise. www.romexplorer.com - Rome Explorer - What's-on in Rome as well as advice and travellers' tips. www.thefiddlerselbow.com - The Fiddler's Elbow - Irish Pub right by Hotel Kennedy. www.druidspubrome.com - Druids Irish Pub Rome - Live Premiership football, hurling, rubgy and fine craic. www.trenitalia.com - Italian Railways official site - also available in English. www.atac.roma.it/ - Rome public transport authority - official site. www.timeout.com/travel/rome/ - Time Out - comprehensive event, restaurant bar and nightclub guide. www.hotelanticadimora.com - Hotel Antica Dimora alla Rocca - 4 star in the picturesque town of Trevi, Umbria. www.grandhotelminerva.net - MinervaGrand Hotel - 4 star in Florence historical centre - Santa Maria Novella. www.hotelbotticelliflorence.com - Hotel Botticelli Firenze - 3 star by the market of San Lorenzo in Florence centre. www.hotelsangiorgioflorence.com - Hotel San Giorgio Florence - 3 Star in the centre of Florence. www.hotelrexflorence.com - RexHotel Florence - 3 star with longstanding reputation in Florence. www.campastrellosport.com - Campastrello Sport - Seaside Hotel in Tuscany, ideal for the height of summer. 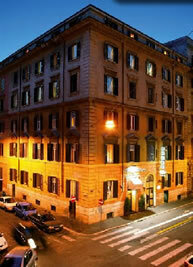 www.florencehotelsdirect.com - Portal site for Florence hotels. www.hotelmanin.com - Hotel Manin - 4 star in the city centre. www.fourpointsmilan.com - Four Points Sheraton Milan Centre - Luxury 4 star in the centre. www.hotelregalmilan.com - Hotel Regal Milano - 4 star with longstanding reputation in the city of Milano. www.antareshotels.com - Antares Hotels Milano - 4 star hotel chain with 3 great hotels in the centre of Milan. www.hotel-milan-ambasciatori.com - Hotel Ambasciatori Milan - One of the finest and best known luxury 4 stars in the city. www.albergometropole.it - Hotel Metropole Lake Como - 4 star in the picturesque town of Bellagio, overlooking Lake Como. www.milanhotelsdirect.com - Portal site for Milan hotels. www.hotelalcodega.com - Hotel Al Codega Venice - new 4 star in the centre offering top quality service and luxury. www.hotelmontecarlovenice.com - Hotel Montecarlo Venice - 3 star in the centre. www.hoteldanielivenice.com - Hotel Danieli Venice - 5 star - one of the best known and finest hotels in Italy. www.hotelgrittivenice.com - Gritti Palace Venice - 5 star quality and luxury in the floating city. www.venicehotelsdirect.com - Portal site for Venice.